The convenient standalone capability of a rigid canister, with the eco friendly design of a soft liner. 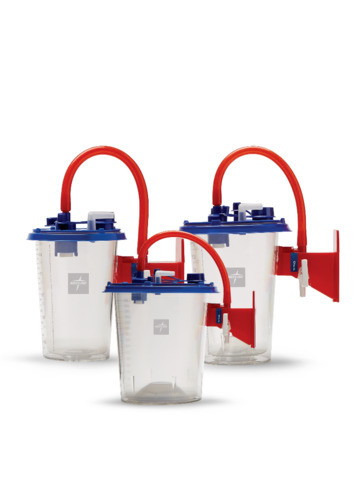 Medline's suction system combines a reusable outer canister with a single patient disposable liner. Volume markings on the outer canister make it easy to measure the collected fluid. The attached bracket can be affixed to the wall or a mobile trolley.